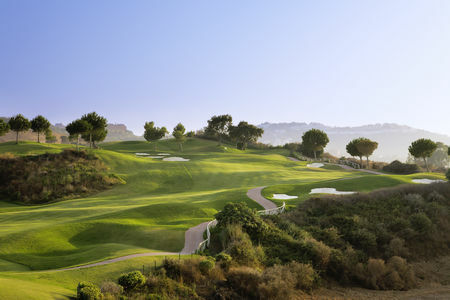 Cabell Robinson designed the course at Santana, a little over ten miles from Malaga International Airport, with the benefit of his long association with Robert Trent Jones. 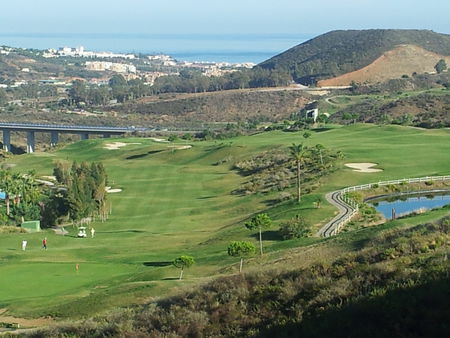 The resort area on Spain's Costa del Sol near Fuengirola is lovely, but the site itself presented some difficulties owing to the terrain. Robinson over came these to create a nice mix of longer and shorter holes where water is often in play. Broad fairways give casual golfers a chance, and the more advanced will enjoy trying to shape their shots across the doglegs, though they are advised to keep in mind the punishment that awaits an errant shot. Strategic choice of clubs is required when working the deep and highly sculpted greens. The 6207-meter parkland layout is a pleasure to walk, with avocado, fig, olive, mango and numerous other trees gracing the grounds, among which can be found majestic calzada eagles. 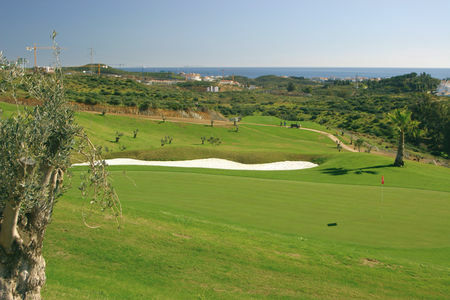 A typical spanish parkland course. 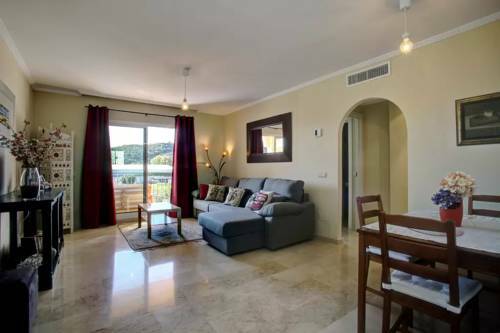 Apartment Blq 3 Carnoustie, apt.